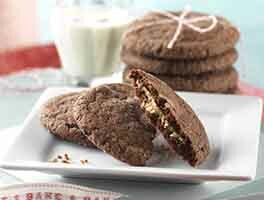 Love deep, dark chocolate cookies? Daydream about crisp, melt-in-your-mouth goodness? KAF friend and fellow baker Paul Basten, warmly known as "Paul in Ohio" by many, was kind enough to share his chocolate version of our mega-popular Vanilla Dreams. A few test kitchen tweaks, and a chocolate star is born. Thanks for sharing, Paul! 30 mins. to 42 mins. In a large mixer bowl, cream the butter and sugar for 1 minute, just to bring them together. Combine the vanilla, baker's ammonia, and salt in a very small bowl. Stir to dissolve the ammonia; the salt won't fully dissolve. Combine the vanilla mixture with the butter and sugar, and beat until smooth. Sift together the flour and cocoa. Add to the butter mixture and mix on low speed. The mixture will seem dry at first, but continue to mix for 3 to 5 minutes, until the dough comes together. 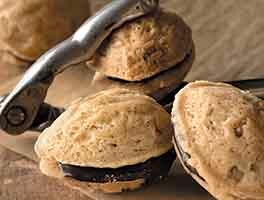 Break off pieces of dough about the size of a large gumball; a teaspoon cookie scoop works well here. Roll the pieces into balls. Space them on the prepared baking sheets, leaving 1 1/2" between them. Use the bottom of a glass, dipped in sugar if necessary to prevent sticking, to flatten the balls to about 3/8" thick. Try using other kitchen items, such as a slotted spoon or a potato masher, to give different imprints. Bake the cookies for 18 to 20 minutes, until the fragrance of chocolate begins to fill the kitchen. Transfer the cookies to a rack to cool. They will continue to crisp up as they cool. Store completely cooled cookies airtight for up to 5 days. Wow... such a great cookie. I used Baker's Ammonia and it had the snap you described. Also used Triple Cocoa Blend instead of Dutch Process. Rich, rich chocolate taste. Thanks for the recipe! We love these cookies for their flavor and snap. 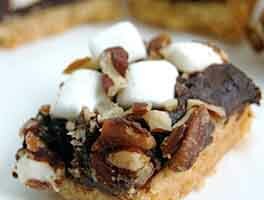 They are a perfect complement to coffee or tea and a great addition to a cookie tray. I baked exactly as written, using the baking powder option. I lightly dusted the cookie balls in superfine sugar then flattened them with a cookie press. They look great! Will certainly use this recipe again, especially during the holidays. Thanks, KAF! I totally agree with the other review. This cookie is nothing like the vanilla dreams. They are dry and tasteless. The texture and crumb can't compare to the original, which is surprising because these call for more ammonia. I weigh all ingredients, and used ka flour. We are not picky people. Very disappointing! These were disappointing: dry and dull. I served them to guests and family and not one person liked them, so I will not try them again. On the plus side, they were easy to make and attractive looking. I followed the recipe exactly, using baker's ammonia and pressing them out as thin as possible. 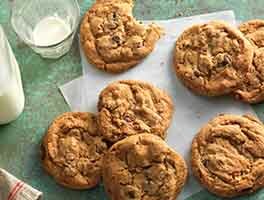 There are so many fantastic cookie recipes that I don't want to waste time and ingredients trying to make the best of this one. Light, crunchy and delicious. Great chocolate flavor with Bensdorp Dutch cocoa and great texture with baker's ammonia. 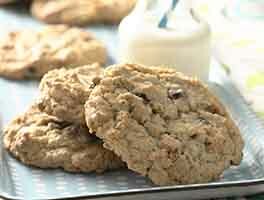 And easy--my ideal cookie recipe! I had a little dough left over that I had to stick in the fridge. I baked it a couple of days later, and the texture definitely suffered. The cookies were harder and more like shortbread. If you use the baker's ammonia, you have to bake these the same day you mix them. The leavening doesn't last. 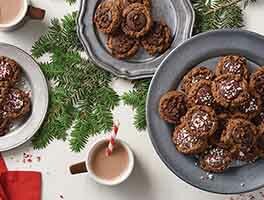 Are these cookies anything like the british chocolate bourbon cookies? Add a teaspoon of peppermint flavor and you need never rely on a Girl Scout again for your Thin Mint fix. P.S. Silpat was made for this recipe. These are strongly chocolate and melt-in-your-mouth tender. The sugar adds a bit of sandy crunch. I baked them exactly as suggested. So quick and easy. Next time I'll try adding the chili flavor one reviewer recommended and also would like to try espresso powder or coconut flavoring. I found I needed to let them cool completely on the baking pans, as they were extremely fragile when warm. My favorite design is the spiral created by pressing my old metal egg whisk into the top. Beautiful. Will be serving them with a caramel and sea salt gelato. Baker's ammonia has been a favorite of mine for 30 years, for any cookie or cracker that should have a light texture.